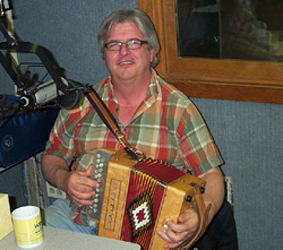 Live in WSHU’s Studio A: Celtic Accordionist John Whelan Since his arrival in Connecticut in the early 1990s, seven-time All-Ireland Button Accordionist John Whelan has been a frequent guest on “Profiles in Folk” and a strong supporter of the program and WSHU Public Radio. In short, he became a dear personal friend. He will be moving to Alabama next month and, in a sense, this is a show that wishes him “Godspeed”, although I suspect it is not his final appearance on “Profiles”. The focus this show rests firmly on his impending move to the South, some of his upcoming concerts with other groups and, most important, the release of his new album, “Passage Of Time”, which collects performances of 33 of his own compositions. It follows several albums he released during the past decade that largely spotlighted traditional Irish music. 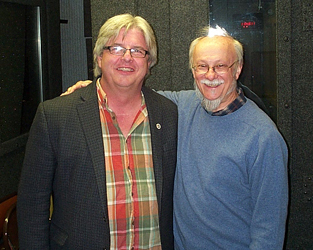 WSHU Chief Engineer Paul Litwinovich once again mixed the sound and made sure we didn't talk too much. I closed out the program with a tribute to Richie Havens, the soulful singer-songwriter with a percussive guitar style who was truly representative of the 1960s folk revival that centered on Greenwich Village and who made such an impression at Woodstock in 1969. CD: Legacy, “The Gooseberry Bush/I Have No Money/Richard Dwyer’s/Jack Coughlan's Fancy”, Not Making Hay, Independent.